I'm at the end of my wisdom, and here I will remain as its limits grow into the event horizon of love. Fair Questions: What does the Qur'an say about unbelievers, Jews, and Christians? Listen to the embedded podcast version of this post or read the written version below. There are many references to unbelievers (sometimes rendered as infidels) in the Qur'an, and because some of them are in the same passages as the passages about Jesus or immediately following those passages, I would like to examine those first as an extension of my previous work on what the Qur'an says about Jesus. Also, in previous passages it was made clear that Christians are understood to be unbelievers (kafir in Arabic) and Jews are understood to be covenant-breakers. For that reason, I will begin where I left off in the "House of Imran" surah, with the passage immediately following the laying of God's curse upon the unbelievers who lie about God. in God's signs, which you yourselves witness? We see in this Quranic passage that there is a reiteration of the idea that Christians and Jews are lying about God, and doing so knowingly, that they disbelieve in God's clear signs. We also see a very common assertion that the Prophets of old were actually Muslims and that Islam is a return to the pure monotheism of Abraham (Ibrāhīm in Arabic). Those who kept to the Abrahamic monotheism or had returned to it were known as reverts (Ḥanīf in Arabic), and were generally respected by the early Islamic community for maintaining the ancient truth which had been corrupted by the Christians and the Jews. Though the Christians and Jews feature frequently among those considered to be unbelievers, they aren't the only ones singled out. those are the ones who prosper. and there awaits them a mighty chastisement. but they are not believers. and they are not aware. for that they have cried lies. but they are not aware. but they do not know. blindly wandering in their insolence. and they are not right-guided. "The Cow" is the first surah in the Qur'an after the opening prayer, and it starts with God speaking of believers and unbelievers, echoing some things that come up in other passages of the Qur'an about unbelievers being punished harshly. In this surah, the Quranic narrative depicts a God who makes unbelievers remain in their belief, somewhat reminiscent of passages in the Tanakh regarding God hardening Pharaoh's heart. The first set of unbelievers described in this passage are those claim to be believers, but are deluded about their being true believers and are lying about God. Also, these unbelievers are depicted as publicly professing belief while privately mocking the true belief in the One God, and mocking those who submit to God alone (Muslims) as fools. 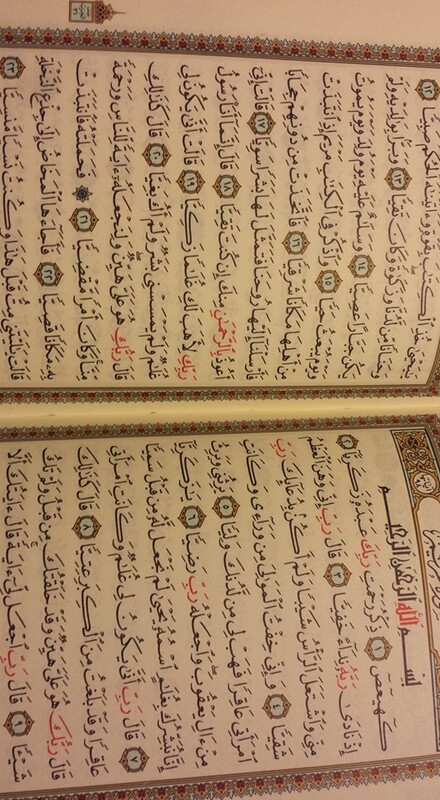 Shortly after in the surah "The Cow" it is made clear what awaits those who are unbelievers and the doubters. God, if you are truthful. As mentioned previously, the Fire is another term for Jahannam, the Islamic word for Hell. That's where the unbelievers will be going, but the believers have a Paradise prepared for them, and within it they will have married love indefinitely and a restoration of the rich bounty of the Garden of Eden. This paradise is referenced many times in the Qur'an, and the phrases used often use the word Garden in them or simply refer to them as The Garden (Al-Jannah in Arabic). Shortly after this passage in "The Cow" surah, the topic shifts to the Garden of Eden and Adam's sin after being tempted by Satan. truly he turns, and is All-compassionate. no fear shall be on them, neither shall they sorrow. and I shall fulfil your covenant; and have awe of Me. for a little price; and fear you Me. and do not conceal the truth wittingly. while you recite the Book? Do you not understand? and that unto Him they are returning. be taken, neither shall they be helped. The Quranic narrative about the loss of the Garden of Eden to which faithful Mulims will be restored at the end of all things is followed by a series of admonitions to the Jews that recognizes their status as God's chosen people and exhorts them to not break their covenant with God. In other parts of the Qur'an, it is made very clear that the Jews have indeed broken the covenant and that this will have serious consequences for them. The surah "The Cow" continues with the story of Moses leading the Israelites out of Egypt, the Golden Calf idol, the manna and quails, and Moses striking the rock to bring forth water because of their complaints. This is followed by another passage about the Jews and others. because they disobeyed, and were transgressors. and no fear shall be on them, neither shall they sorrow. When the Qur'an mentions the Sabaeans or Sabians, it could be referring to a variety of different religious groups, and it's difficult to know for sure which group (or set of religious groups) it would mean. They could have been Gnostics of some stripe or members of another Abrahamic faith. What is more obvious is that the Quranic narratives repeatedly mention the disobedience of the Jews and their breaking of the covenant and killing of the prophets. At the same time, it seems that the Qur'an is indicating that righteous people among the Jews, Christians, and Sabians have a reward awaiting them from God. as friends; they are friends of each other. now they are the losers. and pay the alms, and bow them down. This passage in "The Table" surah continues on with an extended discourse about the Jews, and it might, at least in part, explain why there is a large portion of the Islamic world which believes that most Jews are evildoers. There are obviously political reasons for anti-semitism in the Islamic world as well; it's not purely a matter of appeals to the Qur'an. are outspread; He expends how He will. a fire for war, God will extinguish it. This passage in "The Table" surah indicates that there is a reason for God punishing the People of the Book by increasing their unbelief, and the reason is their failure to follow the Torah and the Gospel (Al-Injil in Arabic) that God gave them as guidance. The last part of this passage states that some of the People of the Book are righteous, and also that many of them are evildoers. This may be a reflection of the fact that the Prophet Muhammad had both good relationships with some groups of Jews and quite literally embattled relationships with other groups of Jews. There are further references to unbelievers, Sabians, and Christians, and Jews in the surah, "The Pilgrimage" (Al-Hajj in Arabic). As in many passages in the Qur'an there is a strong emphasis on the quite different outcomes from believers and unbelievers. there is none to honour him. God does whatsoever He will. 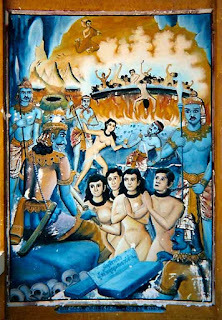 The visceral and graphic descriptions of the tortures of Jahannam remind me somewhat of one of the Buddha's discourses and various artistic depictions of hell dimensions in Buddhism. 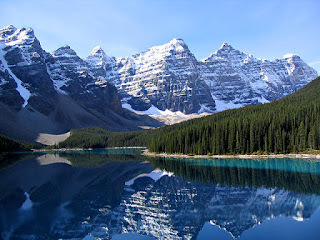 As before, unbelievers, Christians, and Jews are mentioned in the same passages, making it difficult to deny that there is a meaningful connection between the fate of unbelievers and the People of the Book. Islamic scholars have differing views about whether or not Christians and Jews are unbelievers. There is no perfect consensus as to the answer to that question, though Christians and Jews have often been treated more leniently than other religious groups by Muslims who conquered their lands. And this lack of consensus is a reflection of the various Quranic narratives that speak of Jews and Christians in sometimes more positive and sometimes quite negative terms, in one passage suggesting that they will be rewarded by God for their righteousness and belief, and in another suggesting that they are evildoers or unbelievers whose fate is the Fire. Yet there are some things that are very clear in the Qur'an: unbelievers are destined for a torturous Hell, Jews are covenant-breakers and murderers of the holy prophets (many of whom are evildoers), and Christians who claim that Jesus is the Son God are unbelievers (which the overwhelming majority of them). It's also clear that Muslims are called by God to befriend their fellow Muslims and avoid falling in with Christians and Jews who might cause them to stray from Islam. These passages may be interpreted in various ways, through contextualization and cross-referencing the passages with various hadith, for example, because there really isn't a central magisterium that can adjudicate the different interpretations. And as with most religious texts, the interpretation is usually made in light of our existing beliefs about morality and politics, so it's inevitable that some Muslims will prefer to emphasize the more negative passages about unbelievers, Christians, and Jews while other Muslims would prefer to emphasize other passages. These are not the only references to unbelievers in the Qur'an, and if you want more information about those references and how unbelievers are viewed in Islam, I recommend both reading the Qur'an for yourself and reading the thoughts of Islamic commentators on it (from multiple interpretive traditions). Note: The above image is a Persian painting of Mary and the infant Jesus. I recently attended a presentation on Saint Theresa of Calcutta given by a Franciscan friar who had actually been to visit the Missionaries of Charity and work with them as they served the poorest of the poor. When I speak of the poorest of the poor, this is not hyperbole. These are elderly people left to die in their own filth, starving children, and abandoned female babies not deemed valuable enough to try to feed or care for in any way. They have no government aid, a dearth of economic opportunities that makes our unemployment problem in the U.S. look pretty positive by comparison, and the same grinding hopelessness that poor people in the U.S. often face as they realize that they will probably never be able to work their way out of poverty. Such abject material conditions as we would consider too inhumane for our worst criminal offenders are their normal way of life. These situations certainly require our diligent attention, and we should indeed be loving these neighbors of ours just as much as we love ourselves. We should also find efficient systematic ways to help them materially: to feed the hungry, clothe the naked, and visit those who are sick and imprisoned. Whether it's the Catholic monks and nuns or atheists engaging in what's called effective altruism, we should be working to give away our excess wealth in a way that benefits those in greater need than we are. At the same time, the demands of love do not stop at providing material help via rationally-devised efficient systems. We are called to an even greater love than this, to lay down not just our resources and time, but also our hearts and minds, for all those who are impoverished. And sometimes, those who are impoverished aren't just lacking material resources; they're lacking the unconditional love of another human being who listens to them, talks to them, and holds them in their heart, their mind, and even their arms. These people are not just facing a poverty of food, water, and shelter; they are also facing a poverty of love, which may be the worst poverty of all. The poor man who was robbed, beaten, and left for dead before the Good Samaritan found him was materially poor after the incident, but that wasn't the only poverty he faced while lying in the dirt, clinging to life. The Levite and the priest passed him by, moving to the other side of the road, withdrawing from him leaving him to fend for himself when he was most vulnerable. They did not show him the love of a neighbor, the love Jesus called us to when he taught us who our neighbors are by telling the parable of the Good Samaritan. It was the Good Samaritan who first saw him with the eyes of love, then bandaged his wounds, lifted him up, and carried him to safety, bearing his weakness without complaint. And the Good Samaritan didn't stop there; his love drew him to stay with the poor man and to draw others into caring for him as well. This is the model of Mother Theresa and the Missionaries of Charity: first love them and try to heal the worst of their wounds, then stay with them as long as you can to alleviate their poverty of love and take care of their material well-being. When you choose to tend the poverty of love or the poverty of materials being suffered by our least brothers and sisters, tend first to their poverty of love and then to their material poverty. Enter into their poverty first, showing them the true compassion of love by bearing their sufferings with them, and then alleviate that suffering as best you can. To do this is a charity that is the charity of Christ, the love that isn't the love of the body alone, or the mind alone, or the heart alone, or the will alone; it's the love that gives all that we are to those who need the help of our bodies to lift them up, the help of our minds to walk with them on the search for truth, the help of our hearts to feel joys and sufferings in communion with one another, and the strength of our will to keep them climbing the ladder of divine ascent along with us. We are called to empty ourselves of our selfishness completely, giving everything we are to enrich those who experience the poverty of love. We are called to visit the elderly who have no one left to visit them, remember those who are both forgetful and forgotten, meet with the runaways and the abandoned, those who are lost in the crowd and those who hide from love because they don't believe they are worth it. We are called to tend to the sick and dying with our hands, our hearts, and our minds because they are people, actual and whole. They are far more than mere bodies to bandage. They are more than merely a mind in isolation or a heart that is broken. Part of the poverty of love is only being loved in part rather than as a whole. Oh, how we ache to be loved fully and to give love just as fully as we receive it! We are called to love our least brothers and sisters totally, with all the strength of body and mind, heart and will. We bring to bear all the faculties of the soul when we love our neighbor as Christ loved us, holding nothing back just as He held nothing back. He was born in poverty, lived in poverty, and died utterly impoverished so that we might have the riches of eternal life. This was the poverty of Love, shown to us as an example of how to participate in divine love. Just as Love Himself was pierced with a lance for the love of the world, so too we who would follow him will be pierced by the lance of divine love, taking up our cross and following in the way of poverty. This poverty of Love is the result of giving all that we are to those made in His image and likeness, seeing Christ in them and being merciful to them just as Christ is merciful to them. In the same way that we should not leave the least brothers and sisters of Christ impoverished, lacking in the love that God pours out upon us so generously, so too we should pour out our love upon Christ with all our heart, all our mind, and all the strength of our body. This will empty of us of our selfishness, leaving us in the poverty of Love. It is in the material poverty born of loving others sacrificially that we become rich in the greater tenders of love, compassion, and mercy. In the poverty of love, we become more clearly an icon of Love, reflecting the light of divine love into the world ever more brilliantly as we become increasingly impoverished for the sake of Love. In the poverty of love, our plate is empty because we have given our food to the hungry, our cup is empty because we have poured ourselves out for the love of another, and yet our hearts are full and our souls sing because Love always returns to give us the Bread of Life and the Wine of Salvation. The Poverty of Love is the ultimate treasure, and the Cross marks the spot where it's buried, waiting for us to make the sacrifices necessary to reach it and find the true riches of Love. 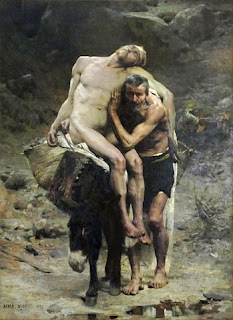 Note: The above is an image of The Good Samaritan by French artist Aimé Morot (1880). Fair Questions: Why do religions say there are terrible consequences for believing the wrong things? I was recently posed a question related to why a religion would propose such severe consequences (hell, specifically) for having the wrong beliefs. Additionally, why do almost all religions propose that there are terrible consequences for wrong beliefs about the spiritual world? That's a great question, and it's one I want to answer by looking at it through the lens of evolutionary psychology (at least in the sense that we'll see how evolutionary pressure shaped our psychology). Let's imagine for a moment that you live in the ancient world, before most of the comforts we take for granted were developed, and then think about how that might shape your fundamental assumptions about how the world works. In the ancient world, if you believed the wrong thing about who your friends were, you would probably die. If you believed the wrong thing about who your enemies were, you would probably die. If you believed the wrong thing about where to stop for water and food on your journey, you might well die because of that wrong belief. If you believed the wrong thing about where to hunt the best game, you might go hungry, and in your weakened state, fall prey to illness or another predator...and die. If you believed the wrong thing about the right time to plant crops or harvest crops, the same results might obtain. Over and over, you would see quite clearly that having wrong beliefs about the world and how it works often lead to terrible consequences for people. To you, terrible consequences for wrong beliefs about the world would just be a feature of the world as obvious as the land you walked on and the moon above your head. And because most people saw no clear division between the material world and the spiritual world, it would be natural to believe that this principle applied to the spiritual world as well. So it would make perfect sense for people to conclude that just as wrong beliefs about the material world probably lead to material suffering and death, so too the wrong beliefs about the spiritual world would probably lead to spiritual suffering and death. It also makes sense that as we grow more distant from the constant harsh survival pressure under which our ancestors operated, we would find it increasingly difficult to understand their intuitive conclusion that the wrong beliefs could lead to spiritual death as easily as material death. This may be why the idea of Naraka, Diyu, Mictlan, Jahannam, Tartarus, and so on are relatively uncontroversial amongst the ancients. For them, these terrible consequences were just as natural as the terrible consequences for getting lots of other beliefs wrong; they noticed that when they got it wrong, there was hell to pay. 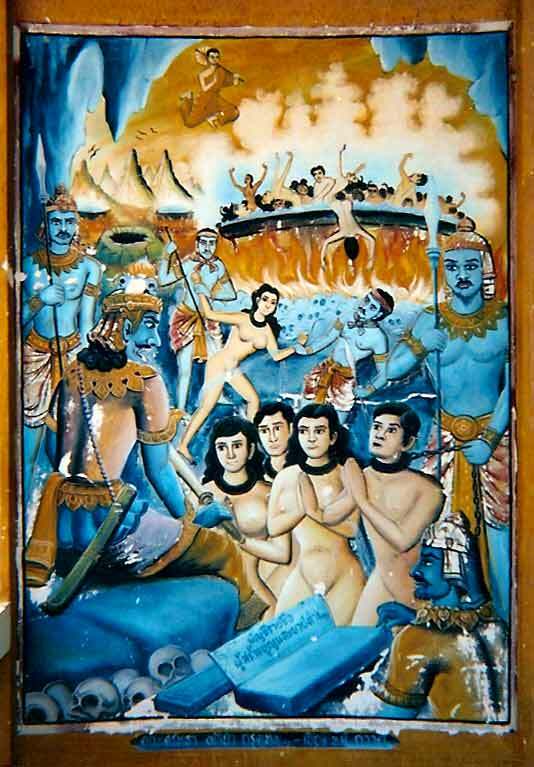 Note: The above is a painting of a Buddhist hell (naraka) from Thailand in which people are being judged and thrown into a vat of boiling oil. Fair Questions: What does the Qur'an say about Jesus? There are many references to Jesus in the Qur'an, and there are some very important ones in the surah on Mary, which is a surah I have written about previously. Some of these references are not related to Mary directly or to the infancy narrative of Jesus, but are part of a discourse about the unfortunate fate of unbelievers (kafir in Arabic). This is an explicit denial of Jesus being the Son of God following immediately after the narrative of his conception and birth and the miracles being performed by him as an infant. But this is more than just a competing intellectual claim; it's not just that arguments are given for why it's absurd that Jesus would be the Son of God, but also that it is such an astoundingly blasphemous claim in the eyes of Muslims that it is appropriate to describe it in terms of natural catastrophes of near-unimaginable scope, the kind of natural catastrophes that destroy entire civilizations. Will they not turn to God and pray His forgiveness? The consequences in "The Table" surah are eternal spiritual consequences; Christians will be denied entry to Paradise and will be cast into The Fire (Al-Nar in Arabic) which is another name for Jahannam, the Islamic equivalent of what is known as Hell in the Christian cosmology. The Quranic narrative presents Jesus himself as the one who makes it clear that those who keep these Christian beliefs about his divinity will be condemned to everlasting torment in The Fire. The next Christian doctrine to be explicitly addressed in the Quranic narrative is the Trinity, and that belief too is said to result in severe consequences for those who believe it. The reference to birds made out of clay becoming alive when Jesus breathed on them comes from the Infancy Gospel of Thomas, a text from the 2nd century popular among Gnostics. Though it was probably written during the same century as the Protoevangelium of James which fits well with the canonical Gospels, the Infancy Gospel of Thomas presents a very different Jesus than what is consistent with the synoptic Gospels in the New Testament. and a sign from Thee. The Quranic narrative has Jesus explicitly denying not just his own divinity, but also denying the divinity of Mary, which is something the overwhelming majority of ancient Christians would have denied as well. Either this passage wasn't directed at them, or the author had a fundamental misunderstanding of ancient Christian beliefs about Mary. Another possibility is that it was a reaction against the Collyridian sect that worshiped Mary in 4th century Arabia, and may still have been known to Muhammad in the 600s. only a likeness of that was shown to them. The people being referred to in this passage as having broken the covenant, disbelieving God's signs, killing the Holy Prophets, committing calumny against Mary, and claiming to have killed Jesus are...the Jews. The Quranic narrative insists that Jesus never actually died, but rather that God raised him up alive, and that Jesus will subsequently return during the end times. Some Islamic commentators on the Qur'an insist that someone else was crucified in place of Jesus, which is a view taken in some Gnostic texts like, for example, the Apocalypse of Peter, which plainly states that someone else was substituted for Jesus on the cross. bird, by the leave of God. dead, by the leave of God. your Lord; so serve Him. This is a straight path." The "House of Imran" contains many of the same points that are present in "The Table" surah, but has an added point that certain things that were unlawful (haraam in Arabic) have been made lawful (halal in Arabic), which seems to be a reflection of early Christian beliefs about Gentile converts not being required to abide by the laws of the Torah. of those who believe not. you were at variance on. The idea that Jesus will come back at the end times and God will set the record straight about how he is a Muslim appears here in the "House of Imran" surah as well, along with additional mentions of the severe consequences which await unbelievers. be not of the doubters. This is the true story. In this passage, the Quranic narrative emphasizes that Jesus is a man just like Adam, and that the appropriate response to the Christians who claim that Jesus was uncreated and coeternal with God the Father is to pray for God to curse them for their lies against God. Unsurprisingly, this is immediately followed by a classical Islamic formulation which asserts the oneness of God. The Qur'an has many interesting things to say about Jesus, and on the whole these statements are an interesting blend of appropriation of and also rejection of early Christian beliefs, some of them from Gnostic sources. In the Quranic narratives about Jesus, we see even more starkly that an important part of the project of Islam is to reform existing monotheistic religions (meaning the Christians and Jews) and restore them to the true faith in the One God while acknowledging many of the good things about those religions. Setting aside the military prowess of the Prophet Muhammad and his companions, that acknowledgement of the good things in Judaism and Christianity may well be part of why Islam has been so successful in making converts. These passages are not the only references to Jesus in the Qur'an, and if you want more information about those references and how Jesus is viewed in Islam, I recommend both reading the Qur'an for yourself and reading the thoughts of Islamic commentators on it. 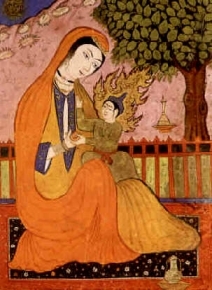 The above image is a Persian painting of Mary and the infant Jesus. I've written previously about my experience praying with the rosary (which has a very long history), and now seems like the time to move on to an even older form of ascetic prayer with mystical power. 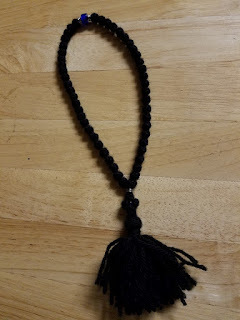 The prayer rope is called a komboskini in Greek and a chotki in Russian, and it is generally used by Eastern Orthodox Christians to recite the Jesus prayer repeatedly. It is also used by Oriental Orthodox (non-Chalcedonian) Christians in a very similar way, though the prayer used is the shorter "Lord have mercy," which in Greek is kyrie eleison. The Oriental Orthodox also tend to have different configurations for the prayer rope. Instead of ropes made of 33, 50, or 100 beads or knots, the Oriental Orthodox might have 41, 64, or 100 beads or knots. I'm sure that to many people in the West, the prayers of the ascetic hesychasts, who recite very intentionally, "Lord Jesus Christ, Son of God, have mercy on me, a sinner." over and over, seems like a really unhealthy way to go on a guilt-trip so extravagant that even our most worried mothers would not send us on that trip voluntarily. And I can honestly testify from experience that intense sorrow for my sins, my frequent failures to participate in the radical self-giving of divine love, is one product of praying the Jesus prayer over and over with the help of the prayer rope. That's why the tassel is at the end of the rope: to dry the tears that are shed for our many sins as we are made keenly aware of them. I've personally shed tears while praying this way, so I know all too well how effective this form of prayer is for increasing our awareness of our sinfulness. It reminds me a lot of the Holy Rosary, in which we ask over and over that Mary pray for us sinners, now and at the hour of our death. Such repeated sincere admissions that we have sinned cannot help but increase our awareness of those times when we have not been as loving as we should be. But these ancient forms of prayer practiced by the mystics and ascetics are not just elaborate guilt-trips to keep us obedient; the sorrow of recognizing how often we fail to be fully loving to others leads to immense joy. This joy comes with the knowledge that we have a merciful God who will grant us the grace to become more loving if we but ask it of Him. And this great mercy is also called to mind every time we recite the Jesus prayer, the prayer that simultaneously reminds of our sins and of the mercy of the one who died on the cross because He loved us so much that He gave all of Himself for us. How can we not have joy at the realization of such a great love, Love Himself pouring out everything that He is for our sake? Our joy also arises because we find that through prayer and discipline our lives become gradually more full of love as we more clearly reflect the light of divine love to all people, who are also made in the image and likeness of the divine one who is Love. Our sorrow burns away all that fills us which is not of love, making room in our hearts for divine love. As the Scripture says, "Your sorrow will turn to joy." We do not have to wait for Christ to return on the Day of Resurrection for our sorrow to turn to joy. He is here with us in the Eucharist, Body and Blood, Soul and Divinity, as fully present to us as He was to the Apostles in His life and in His death, which were both given because Love Himself had mercy on us. What greater joy is there than this, to sorrow for such a sacrifice of Love and rejoice that Love Himself has risen to embrace us for all eternity? Note: The above image is a picture of my 50-knot wool prayer rope that I use to recite the Jesus Prayer. Fair Questions: What does the Qur'an say about Mary? When I read the Qur'an for myself for the first time, one of the things I found interesting was that there is a surah named after Mary, the Mother of Jesus. The surah on Maryam has a set of rhyming schemes and other literary aspects that I do find interesting, but at the moment I'm interested in the contents of its message to the reader of the Qur'an. But the surah named after Mary isn't the only place in the Qur'an we learn about Mary. In "The House of Imran," the conception and birth of Mary are narrated. The name for Mary's father in the ancient Christian tradition is Joachim, but it is rendered in Arabic as Imran. The name of Mary's mother is often rendered as Anna in the Christian tradition, though I've only seen it rendered as Hannah from the Qur'an. what is within my womb. The story of Mary's conception isn't featured in the New Testament of the Bible. So there's really only one place that the Prophet Muhammad would have gotten that information in the 600s to put it in the Qur'an. At the time, Christianity and Judaism were well-established in various parts of the Middle East, including on the Arabian peninsula. Also, the Christian oral traditions about Mary's conception were well-established and represented in Christian artwork, and these traditions are likely the source material for this narrative in the Qur'an. There are references to Zachariah in the New Testament, however, and he and his wife are written of in the Qur'an as well as the Bible. The next part of the passage details Zachariah's prayer for a son, and God's answer to that prayer in the form of John the Baptist. Because it is essentially the same as another passage in the 'Maryam' surah, I am skipping it here and moving on to the next passage about Mary. This narrative is somewhat different from the narrative of the Annunciation in the New Testament in a few important ways. One is that it specifically claims that the angels declared to Mary that her son would speak to men as an infant, which likely comes from Gnostic sources such as the Infancy Gospel of Thomas with which people of the Arabian peninsula, North Africa, and other parts of the Mediterranean region would have at least been somewhat familiar. Another is that the means of deciding who would be Mary's guardian was apparently a randomized one equivalent to drawing straws or flipping coins, perhaps indicating that it was God who had made the decision that Zachariah and his wife would care for Mary. The last is that this account of the Annunciation is much more detailed in describing what was revealed to Mary about Jesus, as if it were reading later revelations about Jesus's role back into the earlier narrative. But what is very striking to me is how much honor is given to Mary, that God has chosen her above all women. And also that in Islam, Mary has many titles given to her, just as she does in the ancient Christian traditions that were around when Islam was founded. She is called Queen of the Saints, for example, a high honor indeed. Her unique place of honor in Islam may be the reason for having a surah named after her, or it may be the other way around. The Quranic narrative of Zachariah's plea to God is fairly similar to the narrative in the New Testament: he makes reference to his old age and he was told of his son's name. The narrative differs, however, in describing Zachariah's request for a son to make sure his property was passed down and his family cared for. That wasn't a part of the narrative in Chapter 1 of the Gospel of Luke. And the Quranic narrative is missing the parts of Luke's Gospel in which the angel is telling Zachariah about John not drinking alcohol and going forth in the spirit and power of Elijah. The question about how this is possible, given his age and his wife's age, is also featured in the Gospel of Luke. But the narrative about his being unable to speak after asking for a sign is rather different. In the Gospel of Luke, Zachariah is made mute because he doubted the angel's announcement and is unable to speak until his son John is born. But in the 'Maryam' surah, he is given a much lighter sentence of 3 nights that functions as a sign only rather than both a sign and a penance. And after the part about Zachariah leaving the Sanctuary of the temple to greet the people, the similarities end very quickly. In the Gospel of Luke, there's no exhortation to John about taking the Book and no prophecy about peace being upon him at birth, death, and resurrection. Now that we've learned about the Quranic depiction of John the Baptist and the strange circumstances of his conception and birth, we get to Mary and see that her situation has some interesting parallels to the situation of Zachariah and Elizabeth. The beginning of this part of the passage seems to allude to Mary being a consecrated virgin, given the references to withdrawing to an eastern place and taking the veil, and this would make sense if the Prophet Muhammad was familiar with Christian oral traditions about Mary, though that particular oral tradition isn't present in the Gospel of Luke. At the end, there is an absence of Mary's agreement to the Lord's plan when she says, "Let it be done to me according to your word!" In the Gospel of Luke, Mary consents to conceive a child by the power of the Holy Spirit, but in the Quranic narrative she doesn't consent and takes a very different attitude toward the whole thing. The deep despair of Mary in the midst of the pain of childbirth under a palm tree seems pretty realistic, but immediately afterwards, God provides her with an unaccounted-for source of soothing water and fresh fruit from the tree (which reminds me a bit of the Buddha's infancy narrative). Another interesting point is that the Quranic narrative has Mary vowing to speak to no man, which is very different from the New Testament depictions of the Nativity of Jesus. Those depictions include Joseph her betrothed, who is notably and completely absent from the Quranic narrative. Another thing that seems very realistic is the Quranic narrative's description of her family's reaction to her having a child, which is then followed by something miraculous, just as Mary's realistic childbirth pains were followed by something miraculous. The narrative of Jesus' speaking like an adult who knows the future while still an infant is a fascinating appropriation of and rejection of Christian tradition. It explicitly endorses the view that Jesus is a Prophet (which is what Muslims believe) and denies that Jesus could be the Son of God (which is what Christians believe). And it doesn't resemble traditional Christian formulations at all; this is clearly an early Islamic tradition in the way it is written and the substance of its message. Throughout the Quranic narratives on Mary, we see an interesting blend of ancient Christian tradition and early Islamic tradition that sought to return the People of the Book (Christians and Jews) to the straight path that the Prophet Muhammad understood them to be deviating from. The Prophet Muhammad was a reformer of religion; he believed that Christianity and Judaism had become corrupted along the way and that he needed to restore people to the true religion of God. These passages are not the only references to Mary in the Qur'an, and if you want more information about those references and how Mary is viewed in Islam, I recommend both reading the Qur'an for yourself and reading the thoughts of Islamic commentators on it. 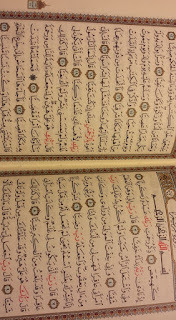 Note: The above is an image of a copy of the Qur'an opened to the "Maryam" surah. Fair Questions: Why am I not a Buddhist? Fair Questions: Is Christian conversion an emotional reality? Fair Questions: Can we send other people to Hell by not teaching them well? S C C B. Picture Window theme. Theme images by A330Pilot. Powered by Blogger.